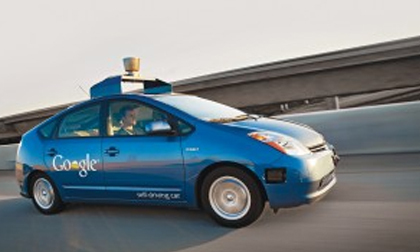 Google is on a hunt to convince skeptics and car fanatics that their self-driving car lives up to the hype. Everything in the car, from the music choice to the big red button, is designed to give a small illusion of control, but in reality, the car is doing all the driving. As society and businesses edge closer and closer to the world captured in “iRobot,” PR stays the same. And we hold one thing dearly – PR in and of itself is inherently people-oriented. PR agencies center around other people, using their extroverted personalities to benefit their clients. While we use technology such as phones, computers and printers, technology does not use us. PR personnel cannot be replaced by screens and keyboards, no matter how much Google wants to cut down human footprints and responsibilities – especially in driving. But there is no such thing as self-driving PR. This is a human-only job that computers couldn’t take over. At TimePiece PR & Marketing, cars are who we are and driving them is our cup of tea. While we use and appreciate Google’s search engine daily in our business, we don’t self-drive cars and we don’t self-drive PR. We firmly believe in the power of people in PR and the impact an experienced PR expert has in the business world.